Lubrita PAO Synthetic Gear Oils, Lubrita PAG Gear Oils, Lubrita Mineral Gear Oils. Industrial gearboxes are expected to perform under conditions of high heat and heavy loads, environments often contaminated with dirt, process debris and water. Without adequate protection, gears will wear prematurely. In that case to replace parts more frequently, change oil more frequently, and worst of all, you’ll experience equipment downtime. 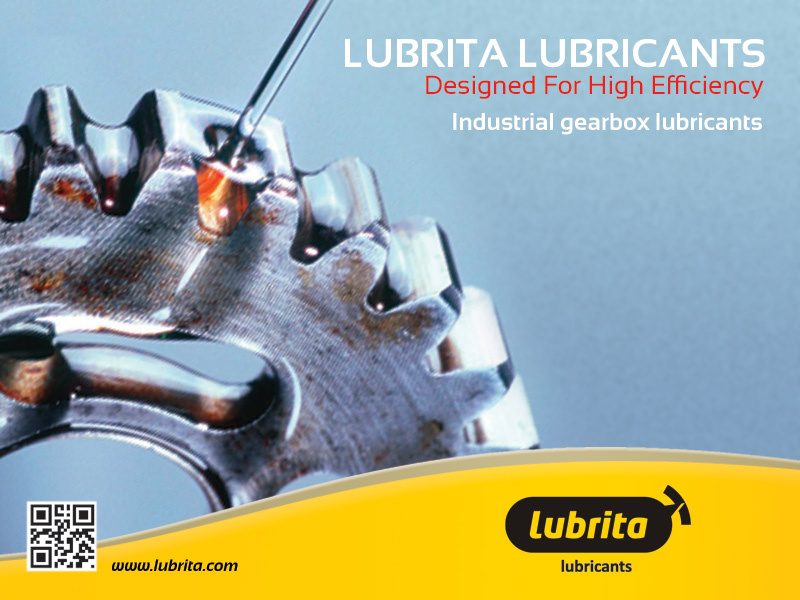 To combat difficult conditions, Lubrita offers gear lubricants specially formulated for industrial gearbox applications. Gear oil is made up of two critical components: base oil and additives. Additives impart desirable properties and suppress undesirable ones. The additive package is the backbone of the lubricants performance, and a strong backbone will provide the performance and protection for industrial gearboxes. a) The gear oil must remain thermally stable and not oxidize at high temperatures, thus avoiding the creation of sludge or varnish. Keeping the oil from oxidizing will lengthen drain and replacement intervals. As a general rule of thumb, for every 10 degrees °C increase in fluid temperature above 60°C, oxidation will reduce the service life of a lubricant by half. b) If you have an enclosed gearbox application that is heavily loaded or subject to shock loading, you need gear oil with (EP) Extreme Pressure properties. Gear oil with an EP additive will protect the gear surfaces against extreme pressures. c) Gear oil must fight contamination that enters the system, especially water and dust. The oil must be able to demulsify, which allows for easy removal of the water from the gearbox. Most of Lubrita industrial gear oils and can be used in a wide variety of applications such as air compressors, air line oilers, bearings, blowers, circulating systems, cranes, gearboxes, hydraulics, industrial turbines, and vacuum pumps. • Helps reduce unplanned downtime; less maintenance - especially critical for difficult to access gearboxes.